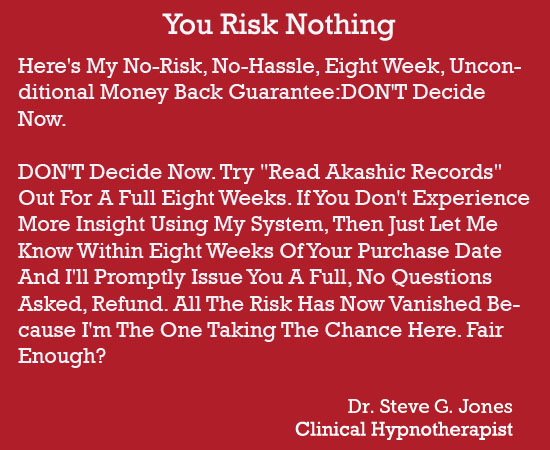 Let Renowned Hypnotist Dr. Steve G. Jones Show You Ancient Indian Spiritual Secrets To Reading Akashic Records ... For Only $9! 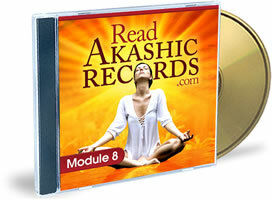 Finally, A Definitive Answer On Accessing The Akashic Records So You Can Take Your Reality To Levels Never Experienced Before! Level 1 Akashic Mastery - Here you’ll learn more about your own set of Akashic Records as well as your soul’s purpose so you can identify exactly what may be holding you back from achieving your goals. 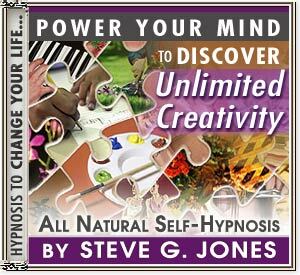 For just $27.97 $9, you can access this infinite source of mind-blowing information that will provide you with a new level of awareness in life. "Read Akashic Records" Consists of Eight Empowering Audio Modules, which are approximately 30 minutes each in length.